SCIBIOLMED.ORG (together with its subsidiaries "SBM") and PHCOG.NET today announced that they have entered into a definitive agreement for ScibiolMed.Org to merge with Phcog.Net. In addition, SBM and Phcog.Net today announced that the two companies have amended the agreement which the two parties signed and announced on July 13, 2015, whereby Phcog.Net will acquire SBM. That agreement, as amended, provides for Phcog.Net and SBM to form a new partnership (the “Partnership”) of which it will own all journals of SBM. Journal of Cardiovascular Disease Research (J Cardiovasc. Dis. Res.) [www.jcdronline.org] J Cardiovasc. Dis. Res. [ISSN: Print -0975-3583, Online - 0976-2833] An official publication of Scibiolmed.Org (www.scibiolmed.org), it is a double-blind peer-reviewed, open access international circulating professional journal led by a group of research scientists, vascular disease experts and cardiologists coming from North America, Asia and Europe etc. 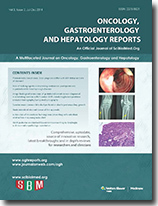 Oncology, Gastroenterology and Hepatology Reports, a publication of Scibiolmed.org, is a peer-reviewed online journal with Semiannual print on demand compilation of issues published. The journal’s full text is available online at http://www.oghreports.org. 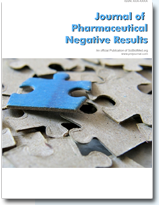 Journal of Pharmaceutical Negative Results is a peer reviewed journal developed to publish original, innovative and novel research articles resulting in negative results. This peer-reviewed scientific journal publishes theoretical and empirical papers that reports the negative findings and research failures in pharmaceutical field. 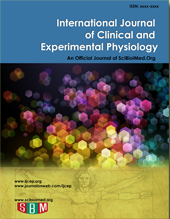 International Journal of Clinical and Experimental Physiology, a publication of ScibiolMed.Org, is a peer-reviewed online journal with quarterly print on demand compilation of issues published. The journal’s full text is available online at http://www.ijcep.org. The journal allows free access (Open Access) to its contents and permits authors to self-archive final accepted version of the articles on any OAI-compliant institutional / subject-based repository. The journal does not charge for submission, processing or publication of manuscripts and even for color reproduction of photographs. BEMS reports (ISSN number: Awaited) will consider original scientific and non-scientific contributions for publication in an Open access format. Research articles, Review articles, Letters to editor, Brief communications, Case reports, Book reviews, Technological reports, and Opinion articles in the areas of biology, engineering, medicine and science will be considered. It is published Semiannual and serves the need of scientific and non-scientific personals involved/interested in gaining knowledge. ScibiolMed.Org (www.scibiolmed.org) - A private organization dedicated to Research in the field of Science, Biology and Medicine. Its main mission is to enable those who seek the relevant research information on Science, Biology and Medicine and make them available in different formats to suit their individual needs. A long term objective is to provide high quality, accurate and required information to enhance research and innovative concepts in scholarly publishing. SciBiolMed.Org is involved in publishing ten journals related to Science, Biology and Medicine. All the journals are peer reviewed, publish original, innovative and novel research articles. Most of the journals are indexed with major databases such as EBSCO, PubMed, SCOPUS, and Chemical Abstracts etc.